Roxane Gay loves Jay-Z, but knows he's got problems with how he talks about women. What's a modern feminist to do? These are short, earnest essays reflecting on gender, race, class, and everything else. She's compassionate and funny and never hectoring, so when she calls BS on something, even if it feels like a shot coming in your direction, it's more like a friend giving your shoulder a shake than any kind of ideological attack. She writes with a clean-scrubbed prose style that gives you the sense that she's working extra-hard to be understood; I found myself compelled to read a bit slower and consider things a bit deeper. 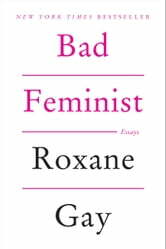 I really enjoyed Roxane's take on modern feminism and the way she frames pop culture, books, movies, and even Scrabble through its lens. Funny and clever, her essays suggest that it's okay not to not be a perfect feminist at all times, as long as you work on it. 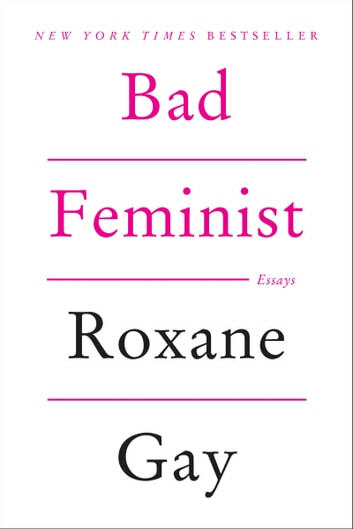 This book helped me redefine what it means to be a feminist. Frank essays touching on a variety of subjects - she is a voice that needs to be heard. I think I could read her grocery list and be in awe of her talent. As I research and study issues around gender equality I found this book gave me insight or challenges to my long held perceptions about race culture and gender. I felt humbled at times by the author's experiences and views. I know that I am privileged in so many ways and will continue to look for ways to include, without prejudice and jealousy, others into this privileged position. Funny, brutally honest, insightful and so well written. I'm an instant fan and want more from Ms. Gay.